What does Business Intelligence mean? Business intelligence (BI) is important for every business growth. But only it can be extremely powerful – if it’s done correctly. BI comprises the strategies and technologies used by enterprises for the data analysis of business information. BI technologies provide historical, current and predictive views of business operations. BI function includes reporting, online analytical processing, analytics, data mining, process mining, complex event processing, business performance management, text mining, predictive analytics and prescriptive analytics. How BI Can Help Your Business? The main purpose of BI in a business is to help corporate executives, business managers, and other operational workers make better and more informed business decisions. Companies which use BI in their organization can able to cut costs, identify new business opportunities, and spot inefficient business processes. BI is in the big picture that provides you to understand your company and the state of the market that you’re growing in. 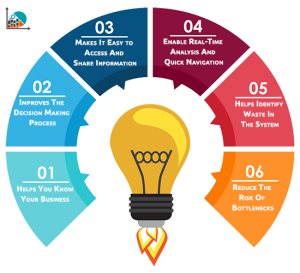 When you have correct business intelligence solution, it is easy to identify business trends, pitfalls and opportunities. But implementing is very critical part of any BI intelligence solution. Company need to plan business objectives and all other important functionality before jumping into selecting BI tools and making strategies, the executive, technical and management teams. Create outline of a program first before implementing and choosing any BI products. Report and analytics need: What report and analytics of business that you need to focus? What are the most important metrics the improve your strategy? What is the source of information that are coming from? Determine your primary need and start implementing your strategy. Industry KPIs: Research your industry KPIs like sales, ROI and profit margins – and develop a firm understanding of these benchmarks. Doing this you can exactly know how this behaves in the big screen. Custom KPIs: Custom KPIs can be used to create scorecards and give powerful insight to analytics in identifying trends and viewing double metrics, amongst other things. Historical data: Keeping track of historical data can help you get a bird’s eye view of your company. Past-periods data used usually as a basis for forecasting the future data or trends. This basically tells you about pinpoints exactly where efforts are struggling or where you need to make pivots in your strategies. A key element in the success of any business intelligence (BI) program lies in the BI team’s ability to deliver solutions. The BI team typically is responsible for data definitions, source system identification and connectivity, working with end users to define business requirements and needs, performing data validation, writing BI policies. The business intelligence team is also taking initiative on the progress of the BI program and defined projects to senior executives. Choosing an appropriate BI tool for your business can be very difficult and time consuming. While implementing this process, choose between an on-premise or an online cloud-based BI solution. 4. 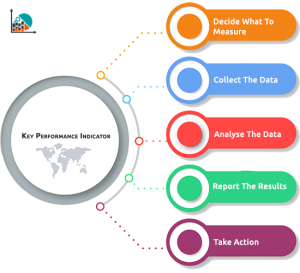 Identify right key performance indicators (KPIs): KPIs are the values measure how effectively a company is achieving their business objectives. KPIs notify you the areas where businesses are on the right track and where improvements are needed. 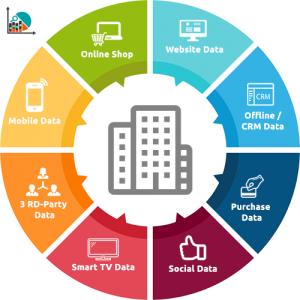 Based on the requirement of the organization, it is decided how much and how often real-time data enters the data warehouse. If they’re organized correctly, data warehouses can give you a comprehensive view of your company’s history so that you can understand how well your efforts are working and make powerful strategic decisions. To get accurate and perfect results, it’s essential for you to have clean data. Dirty data not only causes a storage headache, it can also lead to inaccurate results. 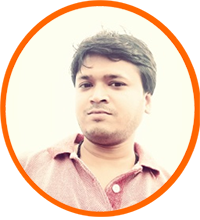 So, select the strategy to keep your data clean and accurate which gives the best performance in BI. It is important that time to time revision and upgrading of capabilities and strategies are carried out. Conclusion: BI is essential for business growth and competitive advantage; strategy, analysis and planning is required. Without any direction and concrete plan, it is more likely you may get stuck in meaningless analytics. Thus, the above steps can be very useful for an organization to meet their business goals and to achieve a successful BI strategy.